Hi there! 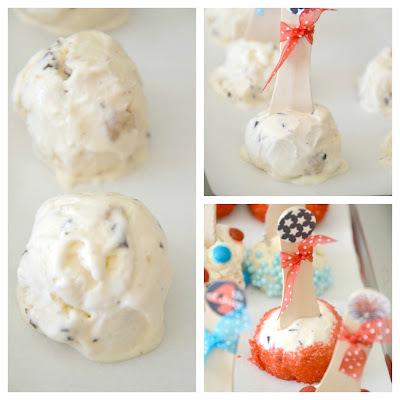 It's Cris from Crissy's Crafts here guest posting today and sharing the perfect little treat for your 4th July get together! If you are ice cream lovers like us, you will love this idea that I found on Martha's Stewart's site! 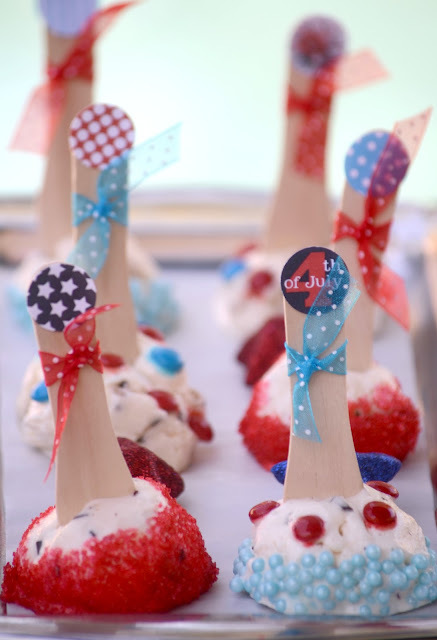 Make multiples of these scoops-on-a-stick and you won't have to spoon ice cream, one serving at a time, in the middle of your party! Just make small ice cream balls using a small ice cream scoop, place the balls on a parchment-lined baking sheet. Insert a craft spoon into each, and place in the freezer. 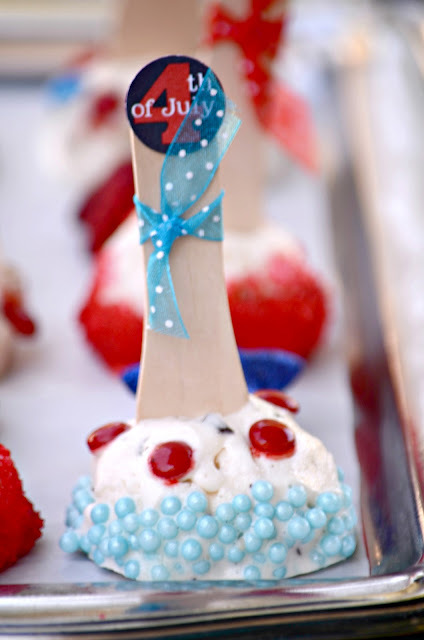 I embellished my spoon using the Hershey Kiss circles (to be used with a 3/4" circle craft punch) from Amanda's Parties to Go FREE 4th of July printable. Chill until hardened. Roll scoops in sprinkles or candies, and store them in the freezer on a freshly lined baking sheet. Enjoy! Thanks, Cris, for stopping by my blog today to share your sweet treat! I love these treats! So CUTE & YUMMY!